08 SEPT 2018 -- (Photo, top of page): I am holding a microphotograph of the world famous artist Raphael's painting "The Madonna of the Chair", 1800s. It cannot be seen by the human eye. The inset photo is an actual photograph taken through the microscope. (above): Microphotograph "The Ten Commandments" by John Benjamin Dancer, 1800s. 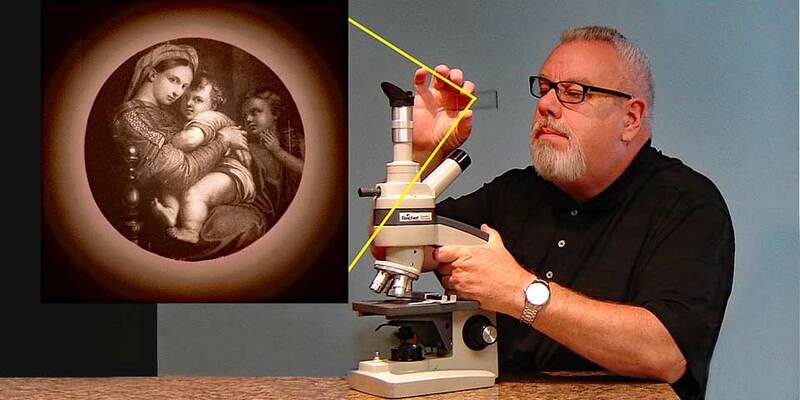 Microscopic scripture was all the rage in the 1800's, and now it is being rediscovered once again in the 21st century with Wonders of the Bible. Our "Micro and Nano Technology" table top exhibits are very popular with all ages. Can you imagine Biblical scripture and art work that is so small that it cannot be seen by the human eye? We believe that our "Wonders of the Bible" collection contains the most incredible microscopic and nano technology scripture in the world today ... along with the world's largest collection of micro Lord's Prayers. (above): The world's smallest letterpress printed "Bible", hand-bound and stitched at the Gutenberg Museum, Germany. It's not too often, in today's world, where one can see something that they have never seen before. We often hear audience members saying "I've never seen anything like this" or "That's impossible, where is it?". When they look through the microscopes, it makes us so happy to know that we are able to have people experience scripture in ways that they have never experienced it before. 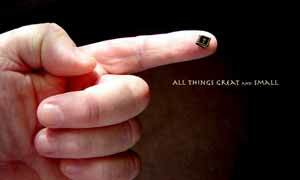 For instance, the Lord's Prayer has been used as a reference standard, to show advancements in miniaturization, for over 150 years! (above): Believe it or not, handwriting can also be microscopic, as shown with this 19th century wonder of the Lord's Prayer. I would be remiss if I did not mention just how much influence scripture has had on modern-day science and technology. For instance, micro and nano circuits of today's computers, began with the invention of micro photography in the mid-1800's. 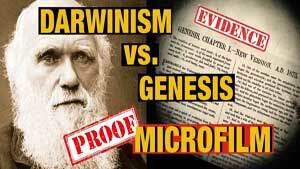 And microphotography began with Biblical scripture. (above:) Jesus with children in a painting titled "Suffer little children come unto me." The painting is by A. Hemings, and the engraving is by G. B. Every. The microphotograph was created by John Benjamin Dancer (England) -- using a single candle as a light source in the 1800s. 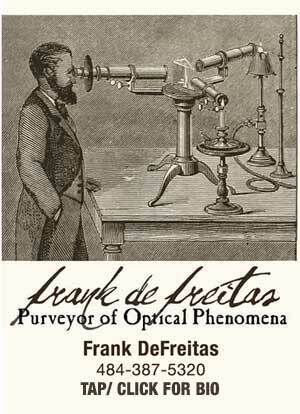 Microphotography from the 1800's led to data storage media such as microfilm, which then eventually led to micro photo lithography of computer memory chips and circuitry that you are using right at this very moment. 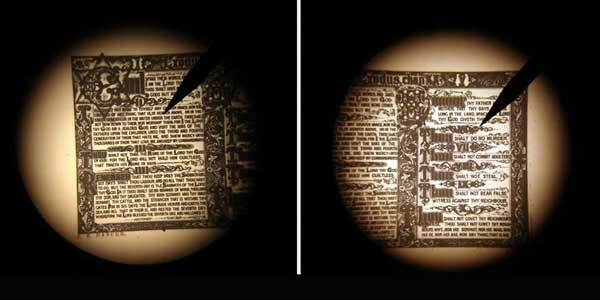 The Lord's Prayer, the Apostle's Creed, the Ten Commandments were all famous microphotographs that could not be seen by the unaided human eye. They could only be read under microscopes. Although they were thought of as a novelty at the time, micro scripture ultimately led to 20th century satellites and space exploration. Today, in the 21st century, we have scripture traveling on laser beams, and being stored with nanotechnology such as three dimensional holograms. 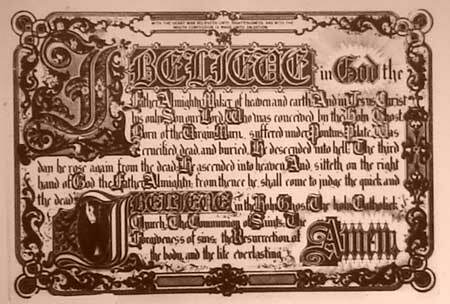 (above): The Apostles Creed microphotography by John Benjamin Dancer in the 1800s. Along with my wife Debi, we volunteer our time and services to help spread the good news to the public through visits with churches, organizations, fairs, and conferences. In total we have reached thousands of people, from all walks of life, from all age groups, and from all around the world. (above): Biblical microphotographs were made by scientists and technicians to proclaim the Gospel of Jesus Christ in the 19th century. 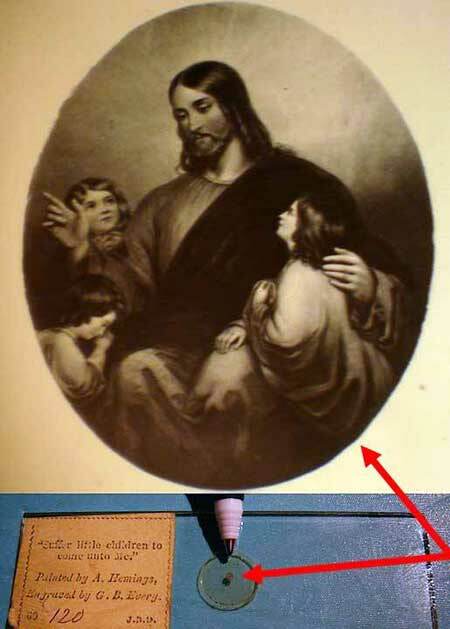 Not only were the famous Biblical microphotographs made by scientists and technicians, but the microphotographs themselves were sold by science and technology supply companies. In the above photo, it shows "The Lord's Prayer in a Pinhole" (amazing! 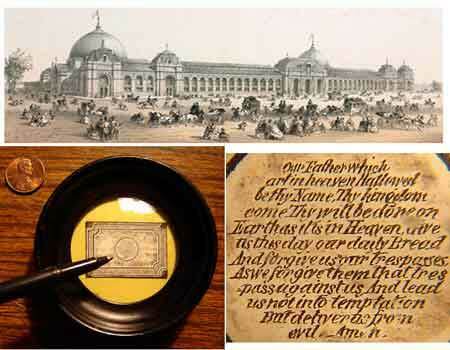 ), which has the label from one of the largest 19th century scientific and optical supply companies in the world: James W. Queen & Co., with its world headquarters at 924 Chestnut Street, Philadelphia, PA.
(above): Microscript Lord's Prayer (enlarged) hand written by Thomas Edison, authenticated and certified. Click on photo for web page. 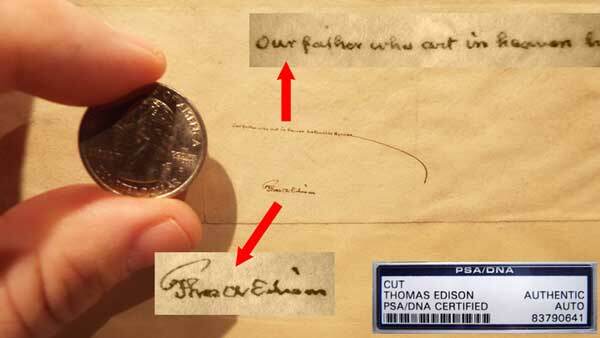 The first line of the Lord's Prayer, hand written by none other than the world famous scientist and inventor himself: Thomas Edison. "Our father who art in heaven hallowed be thy name." Thomas Edison is also well known for his penmanship: practicing scripts, and inventing typographical fonts for the printing press. Shown here greatly enlarged, this micro script must have taken much time and effort. Inspected, authenticated and officially certified (#83790641) through PSA/DNA, it is verified as the ONLY known example of its kind in the world today. 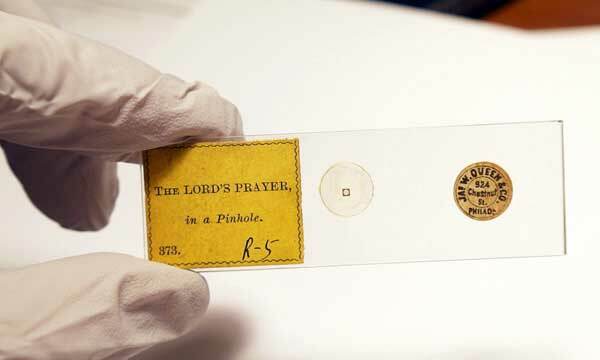 It certainly confirms (as stated above) that the Lord's Prayer was the de facto reference standard for showcasing miniaturization throughout the 19th and early 20th century. We display this item illuminated via a 19th century Edison light bulb (of course!). We look forward to bringing our microscopic displays, and telling the fascinating stories behind all of these exhibit items. People really do love looking through the microscopes. Folks are astounded! We also provide resources for further learning and investigation. We would love to present to you. Call us at: (484) 387-5320. Our home base is Allentown, Pennsylvania, USA -- and we travel. Call Today!